This entry was posted in Pic of the Day, Saugatuck and tagged William F. Cribari Bridge. Bookmark the permalink. dead center in this frame, with bait from the barge that is now I believe the Black Duck: winter and summer flounder on sand worms, spring eels and fall snapper blues on frozen shiners. Thanks, Dan. Me, too. The early to mid 60’s for me. Jim & Bob Donaher & I would take a break and go to Peter’s Bridge Market for snacks. Twinkies or Funny Bones & a soda. It was a thrill pulling up a large fish through a mid-air ascent, hoping it wouldn’t flap itself off of the hook. My very favorite bridge. I honestly believe it is the reason my husband married me 52 years ago. Long story. Thanks for the huge smile this brought to my face. The beauty of that bridge is captured so well in the photo taken by Katherine Bruan. 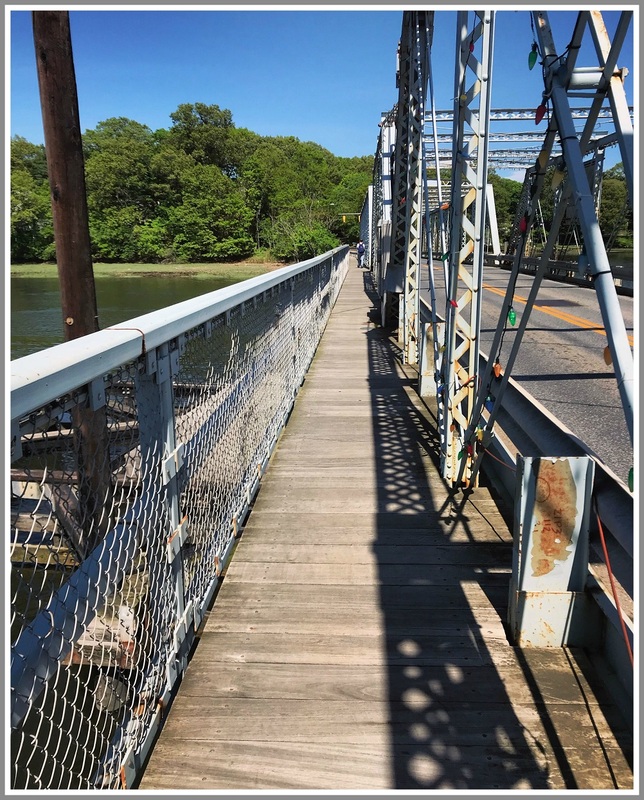 It so deserved to now be included in an authentic measure of its value as a bridge, that produced and promoted the history and the economics generating from the Saugatuck community as a whole. Unquestionably, we now have the measure that says Saugatuck, with the Cribari Bridge over the commercially attractive Saugatuck River serves as a true beginning to creating/establishing the foundation for the Town of Westport to eventually become one of the most attractive of Connecticut’s 169 separate municipalities. Looks the same as in the 60’s — rode my bike over those wooden planks many many times.